These words by Stuart Townend express in song what Jesus tells us in the Sermon on the Mount, namely that the Father in heaven loves his children and longs for us to come and find our greatest reward in him. Indeed, this is why Jesus Christ came, to bring the Father’s kingdom to earth by means of his death and resurrection. In the new covenant, Jesus made a way for sins to be forgiven and for forgiven sinners to enter God’s presence. In Matthew 7:7–11 specifically, we find another place where Jesus’s focus on the Father teaches disciples about the kind of access they have to God and the kind of prayer our Father in heaven loves to hear. On Sunday we considered this passage and how Jesus teaches us to pray. When Jesus commands, “Ask . . . Seek . . . Knock!” he is really saying, “Keep asking, keep seeking, keep knocking.” (These commands are present tense imperatives, meaning they are commands to keep praying). How do you do that? How would you encourage a young believer to pray without ceasing? 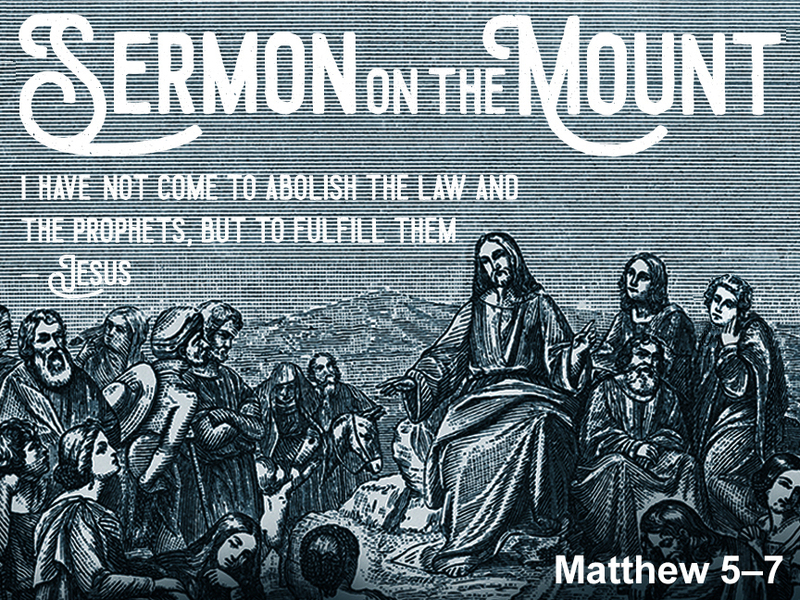 How do Jesus' words in Matthew 7:7–11 relate to Matthew 7:1–6? In what ways do we need wisdom in making judgments (cf. Matthew 18:15–20; 1 Corinthians 5).